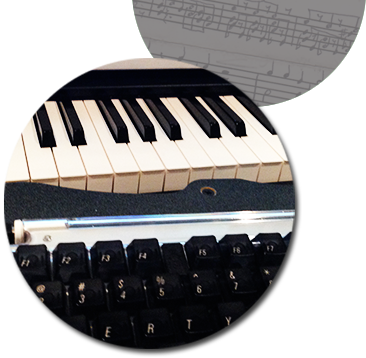 Midi Mock-Ups | Richard Altenbach, composer, violinist. Are you a composer needing a realistic, convincing MIDI demo of a piece you’ve just composed? Or a vocalist in need of a practice recording? We can do it! Another project involved a Mock-Up of the 10-minute Fugue in d-minor, Op. 16 – the “Santa Clara” fugue for full Orchestra by Dennis J. McShane, M.D. for consideration to be programmed live in concert! It was duly performed to great success.